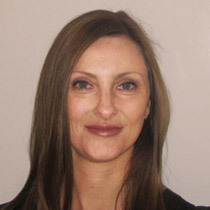 Amy is our Office Manager and is a first point of contact at Riverlands Therapy Services. Amy is a valuable source of knowledge regarding the professional strengths and preferences of all staff members at Riverlands. This can be great assistance to clients and referrers when sourcing the most suitable and effective therapist. Her background has been in Personal Assistant/Team Administrator roles in Corporate Businesses including HR Consulting and Recruitment. Amy has extensive experience with the efficient running of an administrative team and is always responsive to clients and colleagues, she has a calm professional manner, and is never too busy to offer friendly assistance. If the phone-line is busy or briefly unattended, please leave a message and Amy will get back to you as soon as possible. Amy is a Blue Mountains local with two young children, enjoying the opportunity to work close to home. Amy works from Wednesday to Friday.